John Muir, 33, from Musselburgh, last spoke to his family on Thursday night. 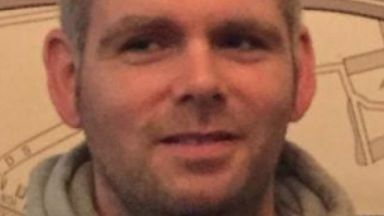 A body has been found in the search for a missing man in East Lothian. John Muir, from Musselburgh, last spoke to his family at 10.40pm on Thursday. The 33-year-old was not seen or heard from since then. Officers have now confirmed the body of a man was found on New Street at around 10am on Tuesday. Formal identification is yet to take place and Mr Muir's next of kin has been updated. A police spokesperson said: "Enquiries are at an early stage. "As with all sudden deaths a report will be submitted to the procurator fiscal."